I had no idea until recently. Companies are beginning to genetically modify produce in order to make it in larger quantities, cheaper, and with anti-pest properties. The most common foods that are genetically modified are corn, soy, canola, and many sugar products. I actually remember seeing GMO free on many of the shelf labels at Trader Joes. I'm not necessarily the healthiest kid on the block, but after Josh sent me this study last week it really put all of this GMO business into perspective. 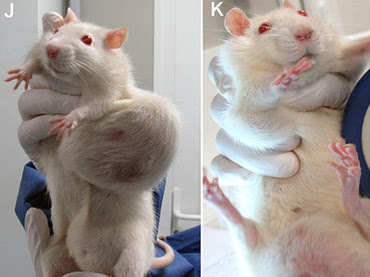 Some mice were given a diet of GMO maize (left) and other mice were given an organic maize diet (right). The study showed that the ones given GMO maize were more likely to grow tumors. Now, there is a lot of skepticism and criticism of this study, but regardless of if you believe all the hype/crap/craziness, it still can't hurt you to go organic. GMOs are being linked to cancers and organ damage in studies around the world, and slowly but surely people are shedding light on some very startling information. Do your research and be aware of what you are putting into your body. Don't automatically trust that what you are eating and drinking is 100% good for you. Now that is the end of my oh so serious Public Service Announcement. 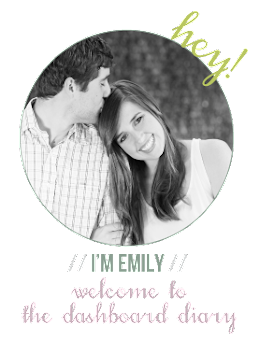 Back to regularly scheduled blogging. I don't think it's a good idea, to have GMO's. It is scary to be and seems dangerous! I've been reading your blog for a while, but never left a comment. Not sure why!! BUT I'm super glad you've been informed about GMO's, it really is a scary thing. When I first started reading about it, I couldn't stop and pretty much changed my ENTIRE diet haha. I also gotta thank you for introducing me to The Lumineers. I got a copy of their cd and it's been playing in my car ever since! Oh my gosh, I didn't even know about this! We eat corn almost every night, and now I'm afraid too. If it doesn't specifically say NO GMO, is there a way to find out if it is? We ususally eat the birdseye steamers (veggies).